If you’re into fitness and working out then you probably want to get the best results from the exercise you do. When it comes to getting results, it’s important to know a little about how your body responds to exercise. Like you, I want results from the time I spend in the gym – ESPECIALLY when I’m using iron; as a strength coach and fitness educator I know a little about how our muscles work and I’m here to share that info with you. 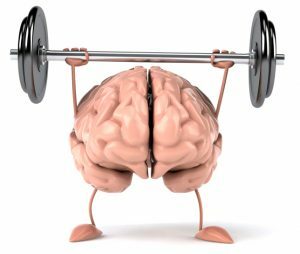 Knowledge is strength – understanding how your body responds to exercise is key for getting results. If your goals include ‘toning up’ it’s important to know exactly what that means and how to do it. Tone comes from the term ‘tonus,’ which is the technical term for the contraction of a muscle fiber; when all of the fibers within a muscle maintain a state of semi-contraction that is what creates the shape we commonly associate with a well-defined muscle. The longer a muscle stays under tension (by contracting) the better definition it can achieve. The primary purpose of muscle fibers is to control the physical forces moving through your body. Muscle shortening actions can generate a force to create movement; for example when moving from a seated to a standing position the quadriceps and gluteus maximus shorten to help the body stand up against gravity. When a muscle lengthens it controls and decelerates a force such as when the quadriceps and glutes lengthen to control the motion of the body as it returns to a seated position. If you want your workouts to produce results it is important to have an understanding of how muscle fibers respond to exercise; here are a few important things to know about muscle fibers and how they are effected by exercise. Muscle fibers adapt to the specific type of exercise stimulus imposed during training. Mechanical stress refers to the physical stresses applied during resistance training which causes micro-trauma to muscle fibers. As fibers are damaged from exercise they signal the biochemical reaction to produce new satellite cells responsible for repairing the mechanical structure of the muscle cell as well as building new muscle proteins. According to the all-or-none theory, a motor unit is either active or inactive, when it is signaled to contract it activates all of its attached muscle fibers. Slow-twitch motor units have a low threshold for activation and low conduction velocities, and are attached to type I muscle fibers. Fast-twitch motor units have a higher activation threshold, are attached to type II muscle fibers and are capable of conducting signals at higher velocities resulting in greater amounts of muscle force. Type I fibers are known as aerobic fibers. These fibers have a higher density of mitochondria which are efficient at aerobic metabolism, the process of creating energy to fuel muscle activity with oxygen. The mitochondria give the cell a darker color and the reason why these are known as red muscle fibers. Type I fibers use oxygen to create energy for lower-intensity, long term endurance-oriented activities like walking, running, swimming, cycling or standing for extended periods of time. Type IIB fibers are known as anaerobic muscle fibers. Type IIB fibers store energy that is released for short, explosive extremely high-intensity activities. Type IIB fibers do not have mitochondria and have a colorless appearance so they are known as white fibers. Type IIB fibers are used for strength and power activities requiring a high amount of force in a short period of time, because they have a limited supply of stored energy they fatigue quickly. Muscle fibers work according to the size principle. As a muscle requires force it will start by activating the smaller type I motor units when they can not provide the necessary force (or fatigue) the larger type II motor units and muscle fibers are recruited to perform the work. A muscle has a finite number of motor units and the higher-threshold type II motor units are not “turned on” unless a high level of force is needed. The most common way to increase motor unit activation is by lifting heavier weights; an increased load placed on a muscle will cause a greater number of motor units to activate more fibers to generate the force necessary to overcome the resistance. This is why your muscles shake when you try to lift a heavy weight for the first time, muscle motor units not previously used are being “woken up” and called into action. The high volume of bodybuilding programs create the sarcoplasmic hypertrophy that gives muscles their big size. 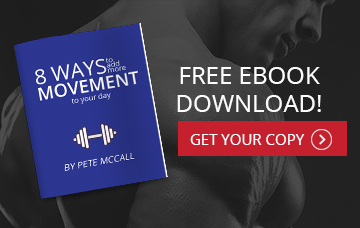 If your goals include improving muscle definition or increasing levels of strength the only way to achieve this is by activating the type II motor units and muscle fibers. There is a common gym myth which mistakenly believes that developing muscle tone (“toning up”) is best achieved by using lighter weights for higher repetitions. It can be possible to achieve definition with lower weights but it requires doing a lot of repetitions until the muscle fatigues and can no longer contract – to understand more about reps follow this link. Unless the exercise is performed to fatigue which occurs only after recruiting the type II fibers, it will not improve definition. 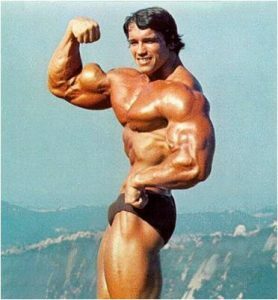 However, if time is an issue using a heavier weight for fewer repetitions is an effective technique for stimulating growth and definition from the type II fibers. Knowledge is power but knowing how to apply the knowledge can help you reach your goals quicker and make the most of your time in the gym. Yes, you can use light weights but you still have to go to fatigue to get improve definition. Using a heavier weight can produce the same results in a shorter amount of time.